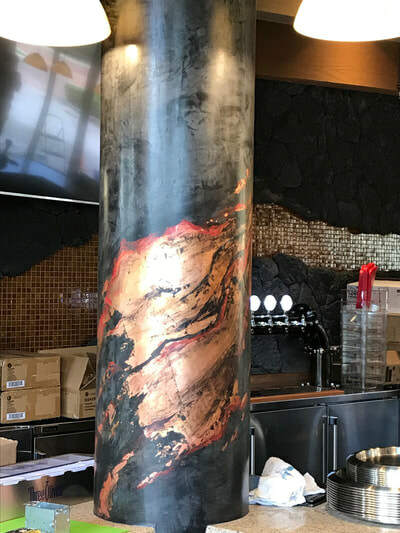 Venetian Plaster with copper leaf accents transform cement columns into lava flow inspired pieces of art that accentuate a back-lit glass tile wall feature at the Waikoloa Luxury Cinema. 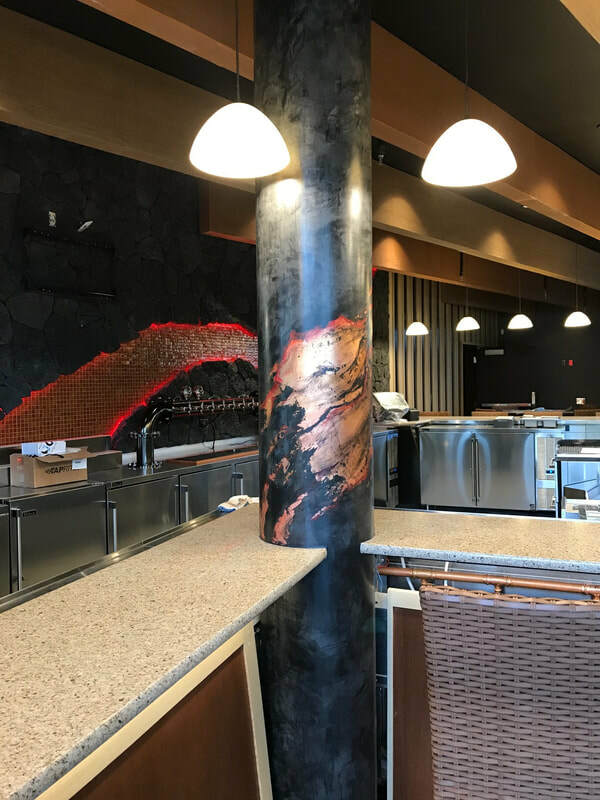 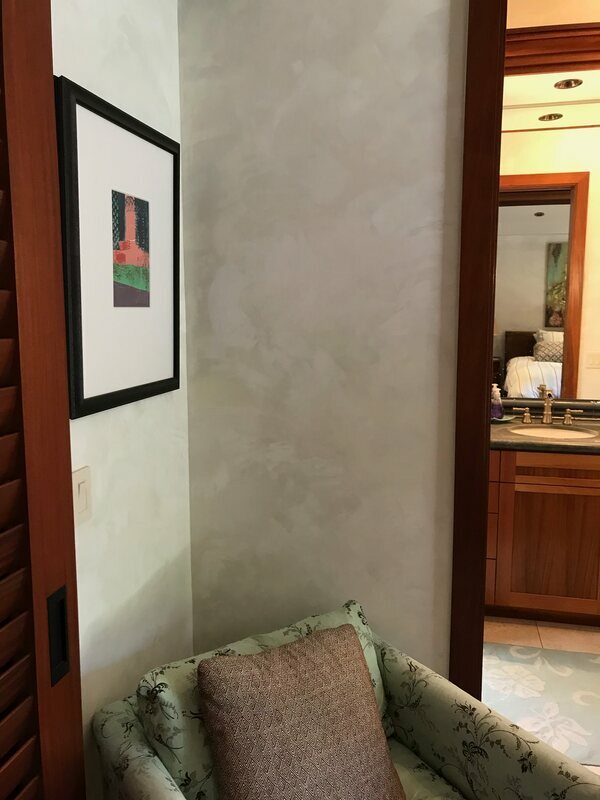 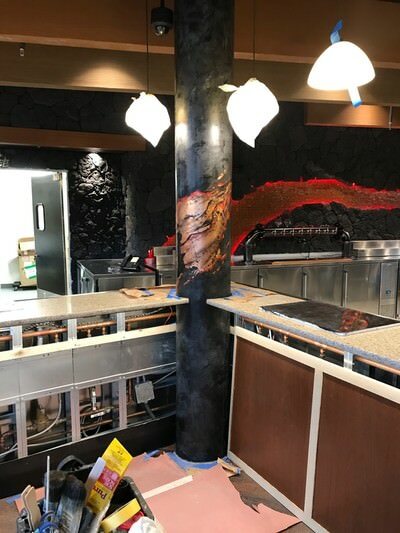 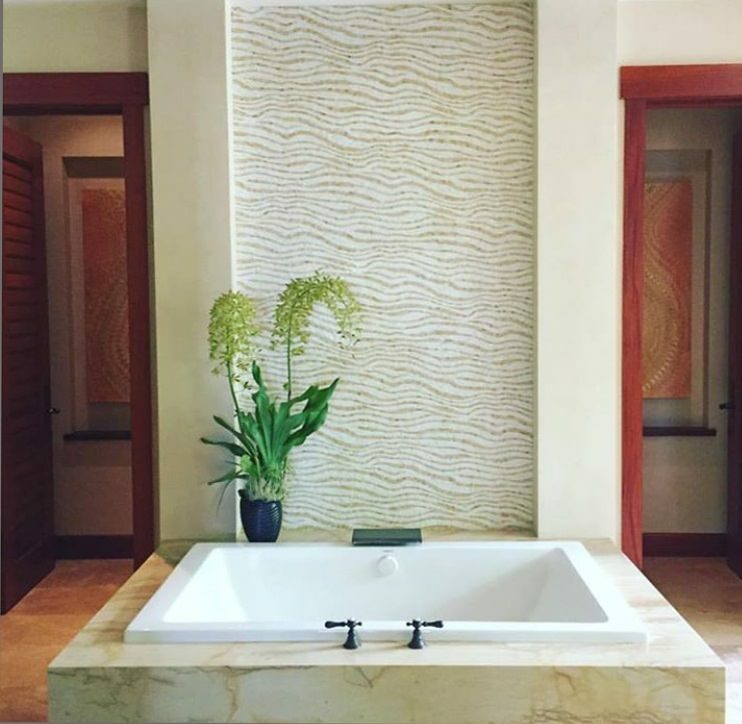 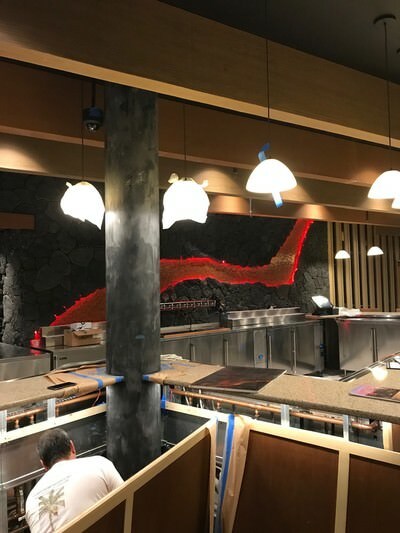 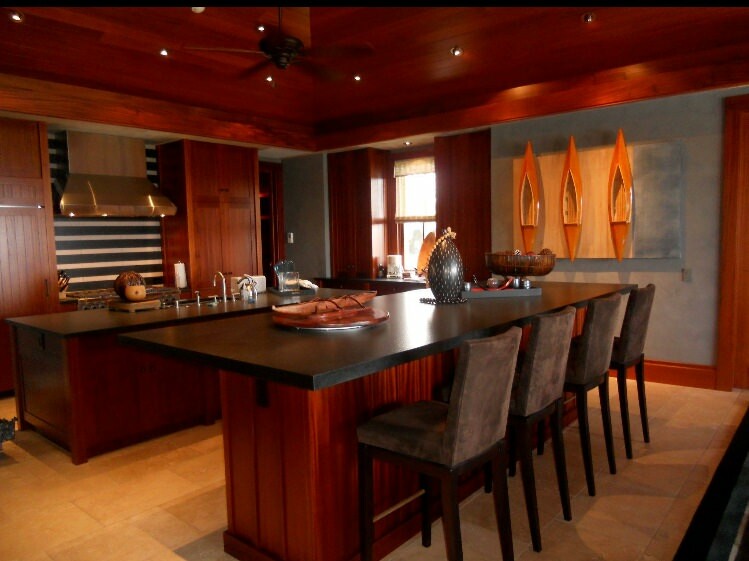 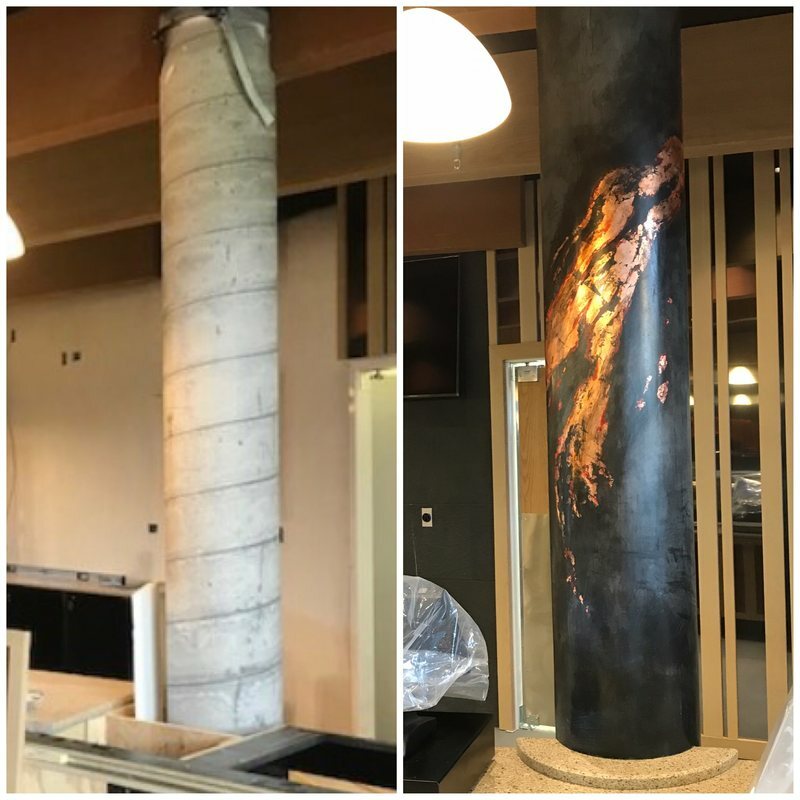 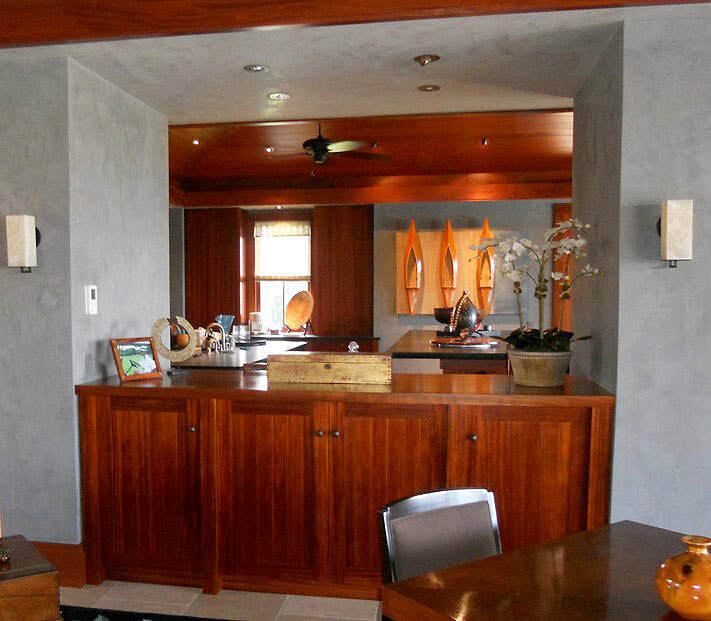 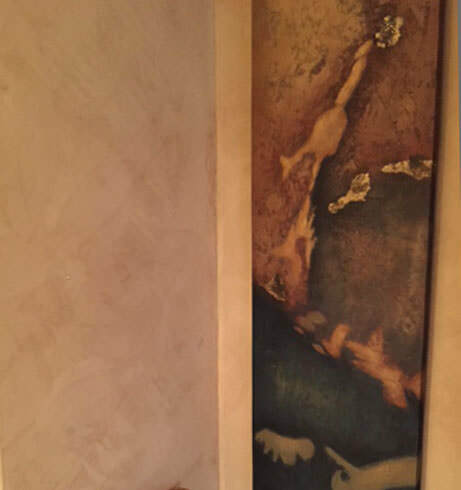 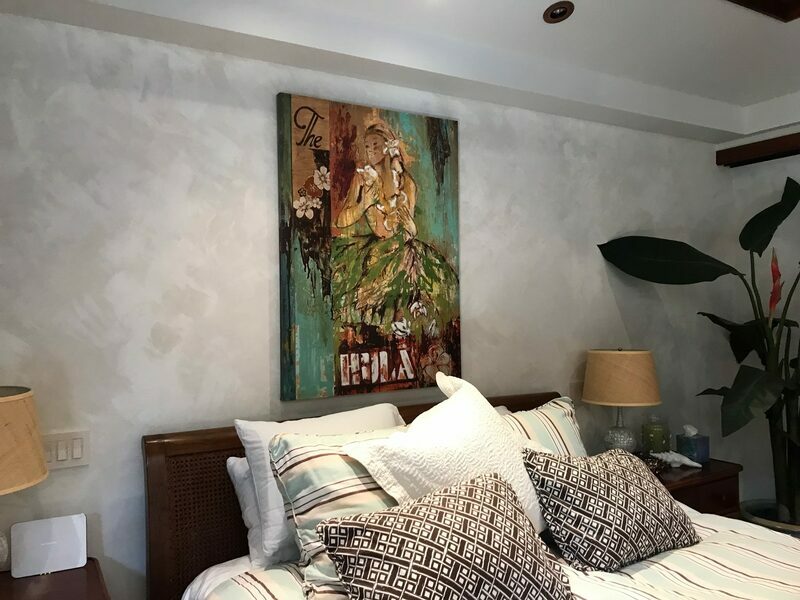 Before and After: Venetian Plaster with copper leaf accents transform cement columns into lava flow inspired pieces of art that accentuate a back-lit glass tile wall feature at the Waikoloa Luxury Cinema. 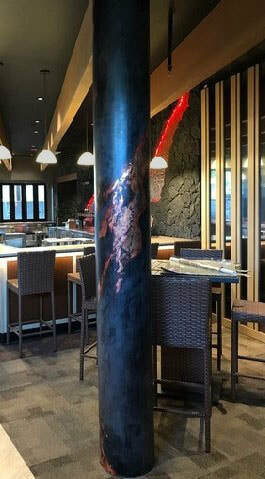 Venetian plaster column at Waikoloa Luxury Cinema prior to the lava flow plaster accents added. 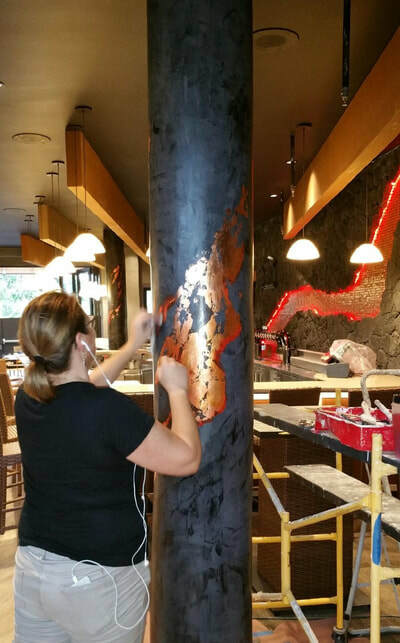 Deborah Thompson working on Venetian plaster columns.